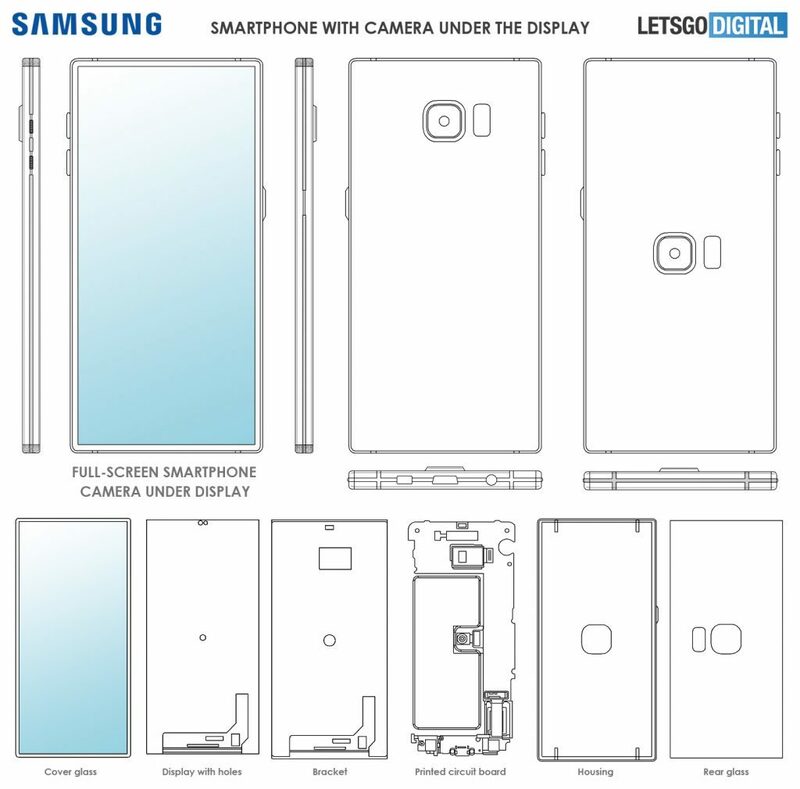 Its just a few days ago we reported about the Samsung Galaxy S10 which is rumored to do away with the iris scanner and now today a new set of patent documents leak suggest that Samsung has plans for complete bezel-less look with massive improvement to its screen to body ratio. Interestingly the brand’s latest patent also showcases that the smartphone utilizes a variety of under-display sensors and fingerprint scanner to make room for the larger display. 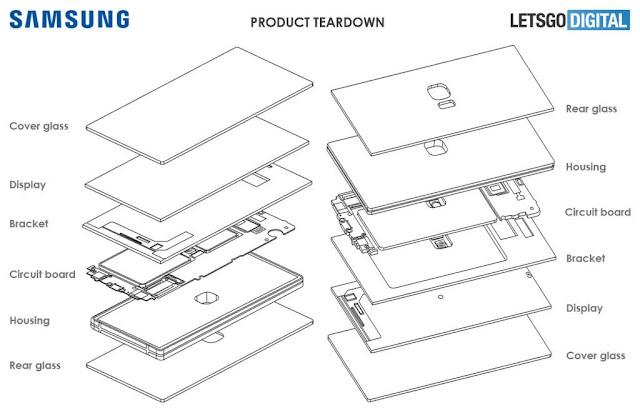 According to the patent Samsung would makes use of three layers to implement the new design. The first layer is a bracket consisting a transparent antenna and any necessary sensors such as the front-facing camera and the in-ear speaker. This second panel sits beneath the display, which includes micro-holes over the areas with sensors underneath. Lastly, all of this is covered by a layer of glass which conceals both the camera and in-ear speaker holes from the user completely. Another interesting feature in the patent seems to be the holographic projection which allows the device to project 3D objects, an area worth exploring for future smartphones. Anyhow these are mere concepts for now and we have to wait and see how much of this actually materialize into the future smartphones from Samsung.